This past week was E3. This event is one of my favorite events of the year because of the announcements, updates, and releases of all of the games to look forward to for the next year or so. Every year is a challenge for the game industry to put together something bigger and better than the previous years work. This year every company had very large shoes to fill. 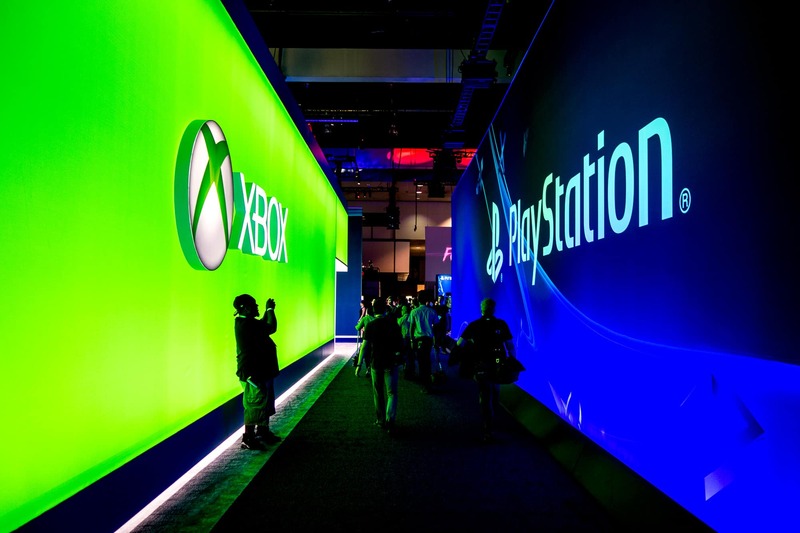 The 2015 E3 was phenomenal, there were so many extremely popular games announced and shown last year. All of the popular franchises were showing off their work. Everything from The Witcher 3, Rise of Tomb Raider, Uncharted 4, Dark Souls 3, Fallout 4, to the Final Fantasy VII Remake. This year, all of the companies knew they needed to step everything up. This year the general consensus was that it didn't have the same hype that was expected. There were some press conferences like Bethesda that focused almost entirely on DLC instead of newer games. This made the conference really dull and almost boring. This is understandable because almost every company just published a very large game that they've been working on for a while so it's no surprise that there wasn't much announced. This is most likely because every company is back to the drawing board. BUT! This is not to say that this E3 was bad. Sony did a great job this year in making sure that it's players were very happy. Sony was smart in choosing God of War to be their opener, everything after was almost equally entertaining. I'd say every company had at least 1 or 2 good announcements this year that I'm looking forward to. So In this blog I wanted to focus on the 7 things that I saw at E3 that really stood out and that you should definitely be excited for. These are games that have either been previously announced but with major updates, or games that were announced at E3. Now some of these games you probably shouldn't expect for another 4 or 5 years but it's nice to get confirmation and an announcement. Horizon Zero Dawn was announced at E3 2015. When announced this game immediately stood out. At the last years E3, this game was premiered with playable content. This is very rare for games. What really made this game stand out was the fact that the developers had 30 minutes of detailed explanations of the monsters and the game play. They came prepared and really made the crowd excited. This year they did it again by announcing a release date along with another 30 minutes of open world exploring that E3 goers could test out. The game is already hyped and everyone seems excited to play it and when the story trailer premiered the game is even more desirable to play. I am now hooked on the game because I have questions about he story and how it ties in with the main character and the setting. You should look forward to this game because out of what has been announced and released so far it seems like it will have a good story with lots of new game play elements we haven't seen before. It will be a unique game in which you, the player, have control over what is happening and how you take down an enemy. The Legend of Zelda: Breathe of the Wild is a game that we have seen in the past couple E3's. In the past, not much has been shown content wise. We've seen pictures, trailers but no game play. Well, that's what we got this year. For Nintendo, 2016 is the year for Breath of the Wild. Nintendo focused all of their conference time to showing off this game. They brought over an hour of game play for E3 goers to play at the convention. I personally was starting to feel that this game was going to be like The Last Guardian in always being shown but never completed, until now. This game looks absolutely amazing. After watching the game play that they have you'll find that this game functions a lot like a Legend of Zelda Skyrim game. Unlike most of the Legend of Zelda games, this one is completely open world, and gives the player a lot more control over what they are doing. The last Zelda game I played was Skyward Sword and although it still had the feel of an open world I still felt restricted in some ways. I think that Breath of the Wild will make up for this and show to be one of the best Zelda games so far. I enjoy the fact that Nintendo is branching out with the Zelda franchise and trying new things, and I think they are doing a great job at doing this. You should be excited for this game for a couple of reasons. The first being that it is another Zelda game, if you grew up playing video games or really enjoy them it's hard to have not played at least one Zelda game. I have not met many people who dislike any of the games. The second reason being that this game looks like it'd going to offer you, the player a lot to do. If you are looking for a game to spend some time on, you've found the right franchise. This game, much like the many other Zelda games, is likely to be a bit of a challenge for you and will give you plenty of objectives, side quests, and lots to do to take up your time. Days Gone is a brand new game that was announced at E3. As many of my friends and other fans say, we may not have gotten a Last of Us 2, but we have Days Gone. I think this is a great way to put Days Gone. Much like the Last of Us it is a third person action adventure game set in a post apocalyptic time. As the main protagonist says in the announce trailer, he is a bounty hunter, or a mercenary. Very much like Horizon, on the same day and conference as the announcement trailer for this game came out we got a game play being shown as a demo. The game play shown was great because it showed a lot of action and essentially what the game will be like. I definitely think that if you like the Last of Us you'll definitely like this game. We don't know too much about the story but I can only imagine that it will be really good. You should be excited for this game because for being just announced this game is all over the place. It has gained a lot of traction in the media and has gotten a lot of attention from the gaming community. As gamers we love our survival games where we can shoot zombies and run around. If you're like me and love games that are formatted just like this one is, with the post apocalyptic feel, a great story to support it, and fun and interactive game play this definitely looks like a game for you. I don't think I need to say much for this because if you are a Sony fan, you know this game. Sony has been hinting at this game for awhile now. Last year at E3, Sony's Shawn Layden was wearing a Crash Bandicoot t-shirt. this was very odd and out of place from what everyone else was wear. This was a clear sign we were going to get Crash again. I'd say that even Uncharted 4 played a part in trolling the Bandicoot community by allowing the players to play one of the original levels of the first Crash Bandicoot game during Uncharted 4. This year they finally announced it. We finally got what we wanted after years and years of waiting. Crash Bandicoot completely remastered is coming to PS4. To me this is a very special thing. I played Crash Bandicoot with my sister and dad when I was a kid. I played every crash game there was. I loved Crash Team Racing, and every other kind of crash game there was. Crash Bandicoot started my love for Naughty Dog the company and ever since I have loved this company. Unfortunately since Naughty Dog sold the rights to Crash Bandicoot to Activision and is not the primary developer working on this game. 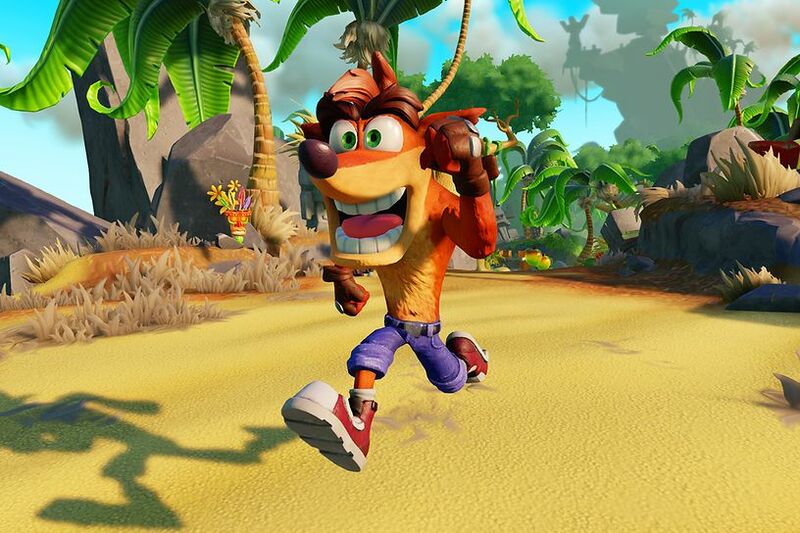 As of now we know that Activision still owns the Crash franchise, but is working with Sony to bring the beloved series back to life. This is both a good thing and a questionable thing. 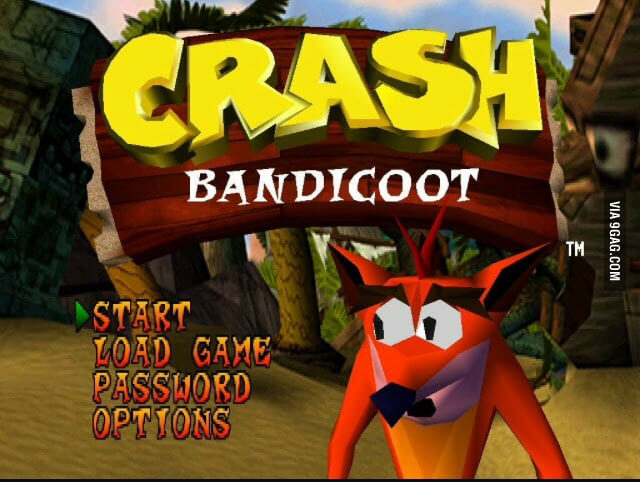 With Crash having some association to Sony, and the fact that these will be remakes of the original 3 games, I believe that these games have the ability to be just as good as they were in the old days. What's questionable to me is how Activision is going to handle the creation of the game. If they use their own developers and designers I fear we may have another Crash: Mind over Mutant (which failed horribly), but if they plan this out right with Sony they can create some pretty good games. You should be excited for this because we are in a time where the video game classics are being brought back to life in much more detail. This is a great time to experience the games for the first time, or to re-experience the game again and reflect on how much you missed this amazing franchise. We have had a couple games being remastered completely and they have gotten nothing but good feedback. Games like Resident Evil, Final Fantasy VII, and now Crash Bandicoot have all gotten great response from the community and are sure to be amazing. God of War was such a popular game when it came out. It was equally amounts of challenging as it was fun. Playing as Kratos, and just taking your anger out on all of the enemies you fight in a brutal way was one of the best things in the game. I personally haven't played the God of War series. When they came out I never had an interest in them. After time went by I've been wanting to play them more and more. Now that this game was announced I am planning on playing the entire series before this game comes out. Although this game is in the making it followed the same footsteps as Horizon and Days gone, where when announced it premiered with game play instead of just a trailer. Sony was so smart in starting out their show with God of War. Santa Monica Studios is well known for the God of War series and they have an enormous fan base for it. While watching the press conference as the video started the crowd was completely silent. when Kratos is seen the crowd goes crazy. It reminded me of when Final Fantasy VII was announced. Everyone thought this series was done. Kratos killed who he needed to kill. Santa Monica Studios isn't done with their favorite hero. In this God of War game Kratos is fighting the Norse Mythology instead of the Greek Mythology of the last 3 games. You should be excited for this game because despite the previous games looking pretty this game looks astounding. The level of detail that goes into this game is amazing. Another reason is because in the previous games you only played as Kratos. 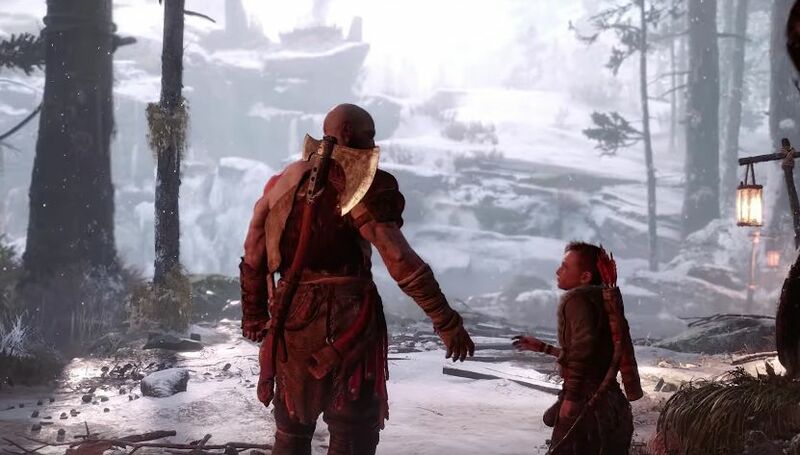 Evidently in this God of War you are playing alongside Krato's son. This will bring in a lot more game play element that haven't been done in the series previously and may add in a lot more challenges to the game. We are getting a Skyrim Remastered! As my roommate Nicholas likes to put it "Skyrim Instagram Filters Edition"! This is great to see Skyrim being moved to all of the newer consoles. It's even better to see that they are allowing mods on consoles. I love Skyrim, and have loved it since it came out. I'm excited to replay it again with some mods on my console. I have the complete edition on the PC but personally nothing is like console playing to me. Consoles have always held my preference so I'm thrilled to see it being ported to the newer generations. Over all from what Bethesda showed at E3, it looks much more detailed. With the addition of modding you can expect some management of the mods. You may find modding better on the PC but it's a nice gesture to add it to consoles. You should be excited for this because Skyrim, much like it's predecessors, was a revolutionary game. Having character creation for such an open world that lets you make decisions and allows you to do almost anything was quite a feat to do. Now a days we may think that this was always the norm but I think it's because of the Elder Scrolls series that we have this in so many games now. Last and certainly not least, Elder Scrolls 6 has been confirmed. The Elder Scrolls series is extremely popular. I don't know many gamer's who haven't played at least one of the series' games. One of the biggest things that most fans were asking for out of Bethesda this year was Elder Scrolls 6. This game is highly anticipated after the huge success Skyrim was. We didn't get anything during the press conference but Bethesda leaving off with "Don't worry, this isn't all we're working on" statement lifted some eyebrows. Later on that night we did get confirmation that Elder Scrolls 6 is being developed as you read this. The biggest downside and the reason we haven't gotten any information aside from the confirmation is because it is a long way off. 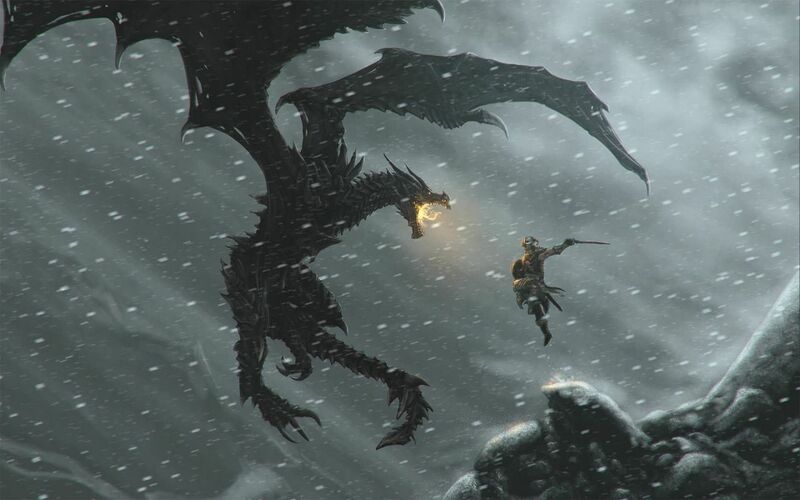 Bethesda is trying to make a game that will outshine Skyrim. This is a very difficult and time consuming thing to do. When Skyrim was being created they only had 2 designers on their team and it still took them a long time to create the game. Even with a large team this game will just take time. If we want a great game we have to be willing to wait a few years. I don't expect this game to come out for the next 3-5 years. Hopefully just knowing will sate the players thirst for more adventuring and all of the Fallout 4 mods announced can keep them going until we get our 6th installment. You should be excited for this because as I said above, the Elder Scrolls series is revolutionary in the gaming industry. If you thought Skyrim was good, you can just imagine how good it will look. I'm thinking something along the lines of Skyrim with the Witcher 3 graphics.